The start of spring means warm weather and the itch to hit the open road. But first, it’s important to make sure your bike is as ready as you are. 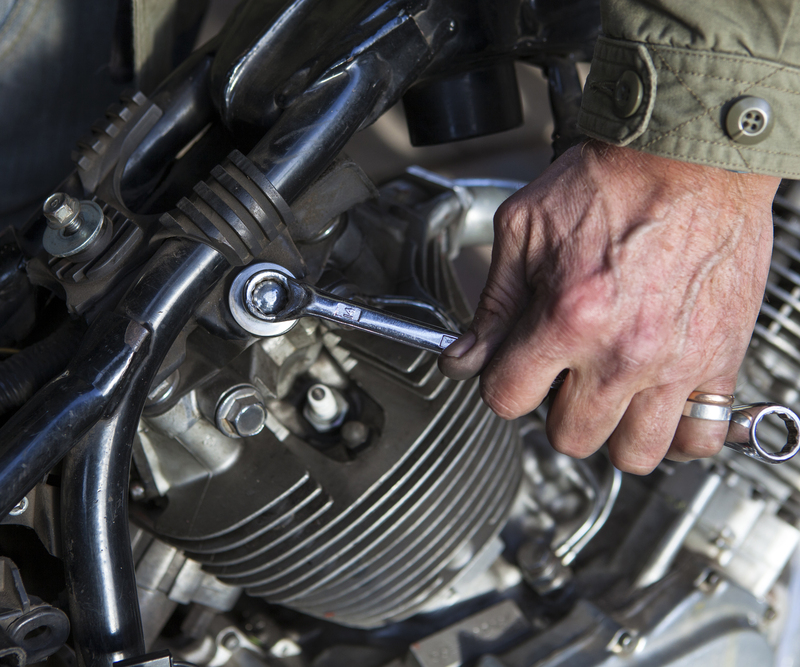 Your motorcycle has probably been camped out in its winter shelter for months, and there are a few things to do to prepare it for spring. It takes some work to undo the damage of winter, but a little effort today will have your bike ready for the spring season. You should always start by looking through your owner’s manual for instructions and guidelines specific to your motorcycle. Every bike is unique. With that said, there are still general tasks you can complete to get any bike road-ready for spring. Stale gasoline left in the tank is often a forgotten but problematic issue. After a long winter, fluids left sitting may degrade. Look for a change in color and consistency in oil, gas and hydraulic and brake fluids and replace anything that looks different from when you put it in. You’re relying on only two tires to keep you safe, so you better be sure they’re in good condition before riding. Inspect them for cracks, dry rot and worn tread to determine if it’s time to get them replaced. Be aware of the potential flat spots caused by your bike sitting in storage for the winter, and bring the tire pressure up to code. Damaged tires can make your bike significantly harder to handle. The start of a new season is the perfect excuse to examine your brakes. Look closely for any damage on the brake pads and lines. If you see any excessive wear on either, they should be replaced. Also perform a test on both your front and back brakes to ensure they’re working properly. If you hear any squealing or scraping, you might want to have a mechanic take a closer look. Battery issues are some of the most common after a bike sits for the winter season. Sitting in storage can quickly drain your battery, so it will most likely need a charge. Additionally, be certain both terminals are clean and cables are securely connected. Pro tip: Keep your battery on a trickle charger while it’s stored. This will maintain the life of your battery during the off-season, saving you hours of bringing a dead battery to life when you’re ready to ride again. It’s a good idea to examine your controls and lights before any ride, but especially after your bike has been stagnant for a long period of time. Test your steering, throttle and clutch to ensure they’re working properly and that the control cables and hoses are in good shape. Double check that your headlights (high and low beam), brake lights, turn signals and flashers are working and connected securely. While you’re at it, go crazy and give your horn a couple honks to be sure it’s in working shape, too. Now that your bike is ready to hit the open road, be sure your gear is as well. Check your helmet for cracks or dents, and be sure the lining is in good shape. Manufacturers often recommend replacing your helmet every five years whether you see visible damage or not. Try on your leathers, gloves and boots to make sure they fit properly (despite that unforgiving holiday weight), and there isn’t any substantial damage. Replace what is needed. You’ve worked to get your bike running smoothly and your gear in top shape. Now be sure everything looks as good as you feel. Give it all a good wash and don’t neglect to wax. This will help protect against the hazards spring brings. After that, there’s only one thing left to do—ride!